This is one of those classic plants that has undergone a name change. 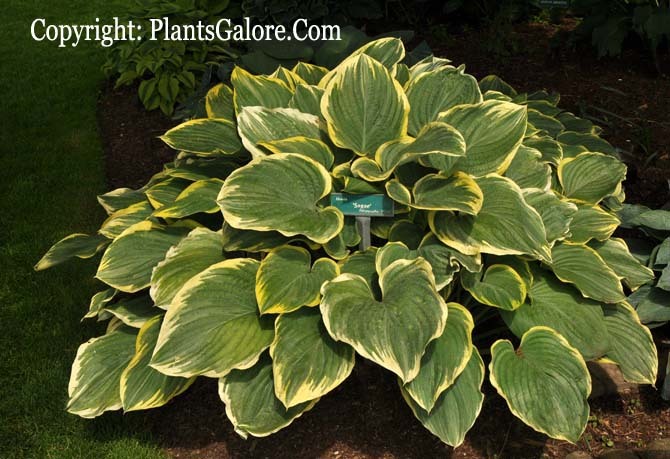 It was registered by The American Hosta Society in 1987 as Hosta fluctuans 'Variegated'. Later, it was determined that this cultivar had been named, Hosta 'Sagae' at an earlier date and that name would take precedence. Kenji Watanabe of Japan registered the plant under that name in 1996. A sport of the species H. fluctuans, this giant size (31 inches high by 70 inches wide or more) cultivar is known for its upright form and thick leaf substance. The foliage is wavy and deeply lobed at the base. It produces pale lavender flowers on scapes up to 50 inches tall from mid-July into August followed by viable seeds. 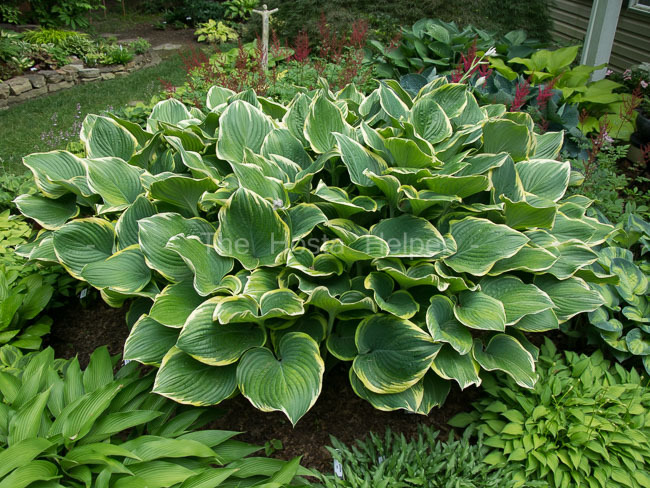 According to The Hostapedia by Mark Zilis (2009), "This cultivar, long admired in Japan, can now be considered a hosta "classic" in American gardens. Its large, vase-shaped mound habit makes it the ideal background or specimen plant...It is difficult to propagate by tissue culture, with low multiplication rates and high numbers of "off-type" plants the norm." 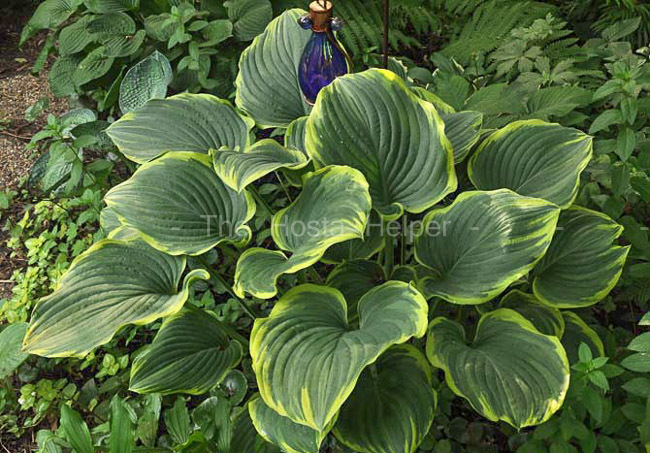 The New Encyclopedia of Hostas by Diana Grenfell (2009) states: "It emerges early and is slow to establish and to show its potential, but eventually makes a huge specimen. A superb classic hosta. 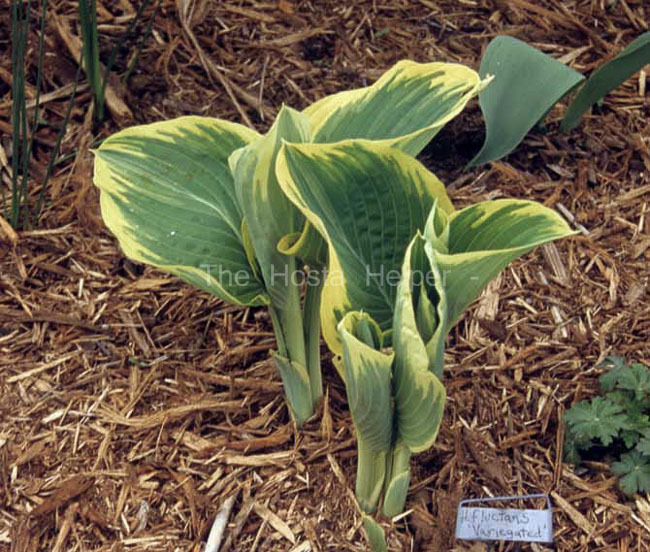 This cultivar has appeared on several of the Popularity Polls by members of The American Hosta Society. It was the 2000 "Hosta of the Year" by the American Hosta Growers Association. This cultivar has been awarded the Royal Horticultural Society's Award of Garden Merit in the UK. Earned the 1995 Alex J. Summers Distinguished Merit Hosta Award.